1. Look after your lawn. It’s a popular misconception that you have to keep your lawn cut short to encourage growth. Short grass actually promotes the intrusion of weeds. Cut your grass on the highest mower setting possible to ensure you maximise water retention. A long luscious lawn will also promote deep root growth. 2. Irrigation breakdown. With the increase of water usage during the summer, you’ll want to ensure your irrigation system is running to its full potential. Give it a rigorous once over and change any worn piping or fittings that may be leaking. 3. Water works. On the subject of watering, get in early to allow the foliage ample time to dry and avoid the unwelcome growth of mildew, which will wreak havoc on your roses. An easy remedy to prevent mildew is a solution of nine parts water to one part full-cream milk sprayed weekly onto plants in the firing line. 4. Move in the mulch. Relatively cost effective, mulch during the summer months is the gardener’s best friend. It’s a gift that keeps on giving: not only will it reduce weeds but it’s also an effective way to retain water. Aim for an organic mulch that will eventually break down. 5. Uninvited guests. The warm summer months open the door to all manner of pests. 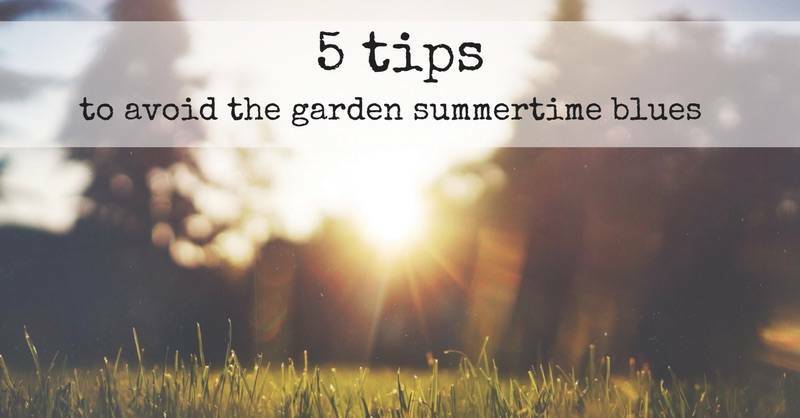 Aphids and caterpillars and mites are in overdrive during this period, so keep a beady eye on your prized plants and treat accordingly if you notice any unwanted invaders.